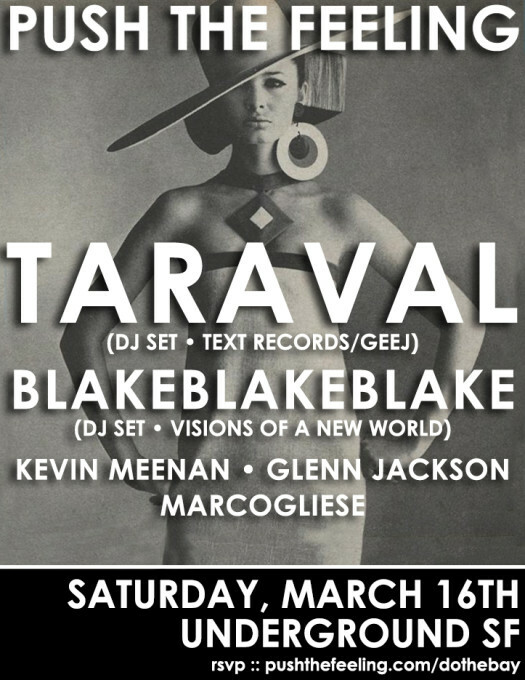 Taraval is a San Francisco based producer of underground house and techno music. His debut EPs quietly appeared on Four Tet’s iconic TEXT records and were shortly being rinsed out in Panorama Bar, cutting edge US underground parties, BBC1 Radio 1, and festival main stages the world over. Taraval tracks are a colorful, mutated and personal take on dance music that is none the less precisely constructed for maximum dance floor intensity, evidenced by support from mainroom house DJs to aficionados of the experimental operating in strobe lit backrooms. 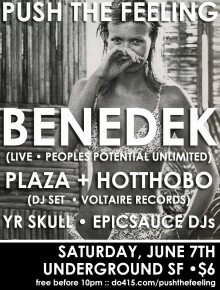 His journey to solo music making has been long gestating in between stints as secret-weapon sideman for a beloved Canadian electronic act but looks set to accelerate as he accepts invitations to play at beloved US underground club nights as well as iconic techno institutions from London to Berlin. His current ‘EP II’ 12’’ is available on TEXT in all good shops and digitally at taraval.bandcamp.com.